Marijana Petir, a Member of the European Parliament in Brussels, is a professed Christian who believes in the power of prayer and the reality in a personal relationship with Jesus Christ. 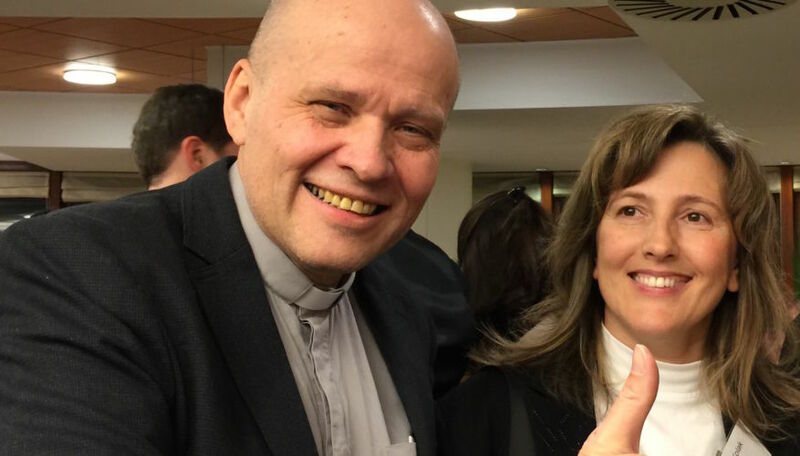 At the European Prayer Breakfast in Brussels this week, Jan-Aage Torp met Ms. Petir, who is a part of the Group of the European People's Party (Christian Democrats). Ms. Petir was a Co-Moderator of the actual Prayer Breakfast on Wednesday morning, and she led the proceedings in a personal way. - We are blessed to see that God has raised up followers of Jesus from Croatia, states Jan-Aage, who is the Convenor of European Coalition of Apostolic Leaders (ECAL).